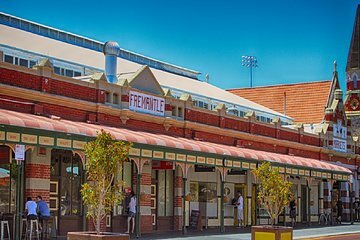 Discover the lively, bohemian port town of Fremantle on this afternoon tour from Perth by air-conditioned coach. Browse the Fremantle Markets, tour the UNESCO World Heritage-listed Fremantle Prison, and uncover the town’s Aboriginal heritage as you visit the historic Round House building and Whalers Tunnel. After tucking into a traditional fish and chip dinner (included), cross the Swan River to see South Perth highlights before heading back to the city. Although we were the only two who had booked this tour through Viator, Ms Patricia Gamero from Perth-Tours WA was kind enough to take just the two of us on the day trip to Fremantle. Ms Patricia is the kind of super awesome tour guide you would wish to have. She even picked us up from our apartment otherwise we would have to travel quite a distance to the meeting point. Although the tour operator had no other people booked for this tour she personally picked me up from the hotel and took me out for the day with all the inclusions listed. A very enjoyable day.